Whether it’s for privacy, security or as a decorative feature, a well-designed fence can offer the perfect garden enhancement. Fences are no longer used to only secure space or mark boundaries. These days, they have the power to make or break kerb appeal. Fences can add style and charm to any home. However, to truly complement your property’s existing architecture, it’s critical to consider your fence’s purpose, style and material choice. Classic, timeless and elegant, white picket fencing adds instant charm to a home. Picket fencing suits most housing styles but are typically found in traditional and heritage homes. Designs can be decorative or contemporary, depending on the home’s architectural features. To minimise the annual paint jobs and maintenance, consider steel picket fencing with white powder coating (or another colour of your choice). This will offer a similar look, whilst ensuring your investment lasts longer without the need for constant maintenance. Tip: For a modern-day appeal, upgraded picket fence styles are shaped slightly differently with minimalist construction. If you’re after style on a budget, modular fencing may be an ideal option. Modular fencing combines a fibre-cement outer skin with a lightweight core, usually made from polystyrene, which makes an attractive fencing feature with noise-reduction qualities. To play on the best characteristics of art décor homes, wrought-iron fencing styles provide an aesthetically pleasing combination. Steel and aluminium materials can offer a cost-effective alternative to achieve the wrought-iron style, without the hefty price tag. Fencing designs, such as Sentinel or Classique, will add architectural detail to your home and complement the decorative elements, such as timber flooring, ceiling moulds and the wood panelling of art décor homes beautifully. Because of the sturdiness of the materials used for this fencing style, they’re also effective for increasing security. Ornamental spikes can be added to the top of the fence for an elegant look as well as a burglar deterrent. 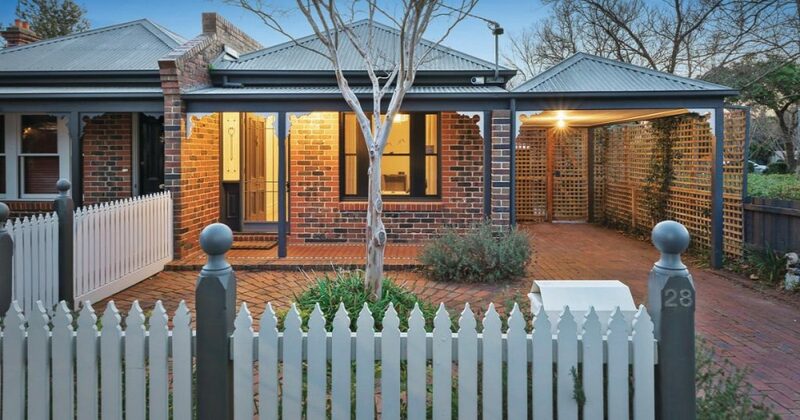 Aside from picket fencing, heritage properties also benefit from aluminium slat fencing. The beauty of these fencing designs is flexibility. Aluminium slat fencing allows you to mimic the look of hardwood fences, without the upkeep and issues that come from timber and other hardwoods, like termites and rotting. They can be designed to suit older heritage homes, reflecting the characterises of the house and warm appeal of hardwood. Aluminium, when powder-coated, is also tough enough to withstand harsh conditions and act as a quality security barrier between your home and the outside world. Slat fencing is popular because of its privacy appeal too. Whether you choose horizontal or vertical slats, they provide a smart privacy solution as well as encouraging sunlight and airflow through the fence (without prying eyes). Full panels can also be installed to allow more privacy. Infill fencing allows you to create fencing posts out of brick or cement and fill in the rest of the fence with hardwood or aluminium slats. The appeal comes from mixing materials together to create a unique look. Combine tubular and slat infill fencing between brick or stone pillars for an earthy look or mix steel and brick for something a little edgier. This fencing style works particularly well if your home already has a brick wall. Sections can be pulled down to replace the gaps with modern slats for a contemporary yet rustic and tough fencing solution.